On its own or as a team player – now! no. 14 looks stunning either way. 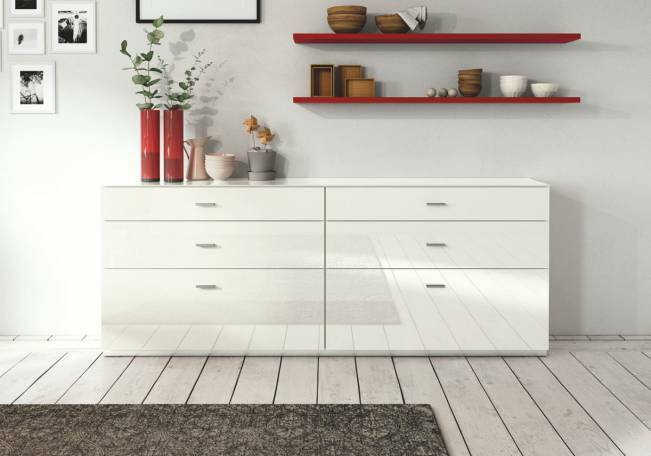 The striking single units include classic sideboards offering ample storage, across-corner glazed glass cabinet units that add a light and airy feel to the room. Flexible sizes make combining fun. Alternatively the top is available in core walnut. We are also able to mix the finish of the drawers to your specification.